Thanks Mom for the thoughtful gift – the perfect bling for “Rita”. 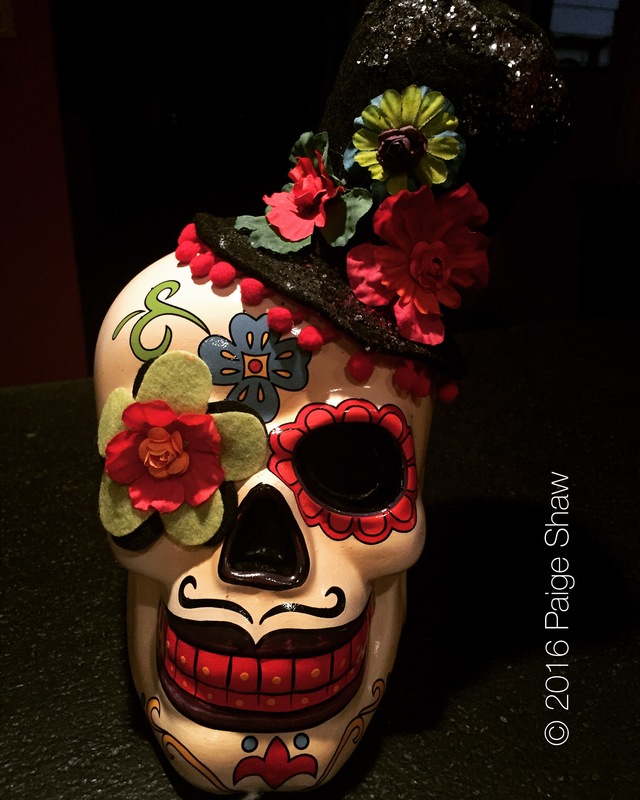 This entry was posted in Photo of the Day 2016, USA and tagged Calavera, Candy Skull, Mexico, Photo of the Day, Photography on September 19, 2016 by Paige Shaw. Got it – Thanks for naming him Ricardo! If you look close it may be Ricardo??? Rita is our RV. We’ll name this guy Ricardo.